Using customer feedback is critical to your success. I recently wrote a guest blog post on Savvyblogging.net about making sure you know what actions you’re going to take BEFORE you survey your audience. 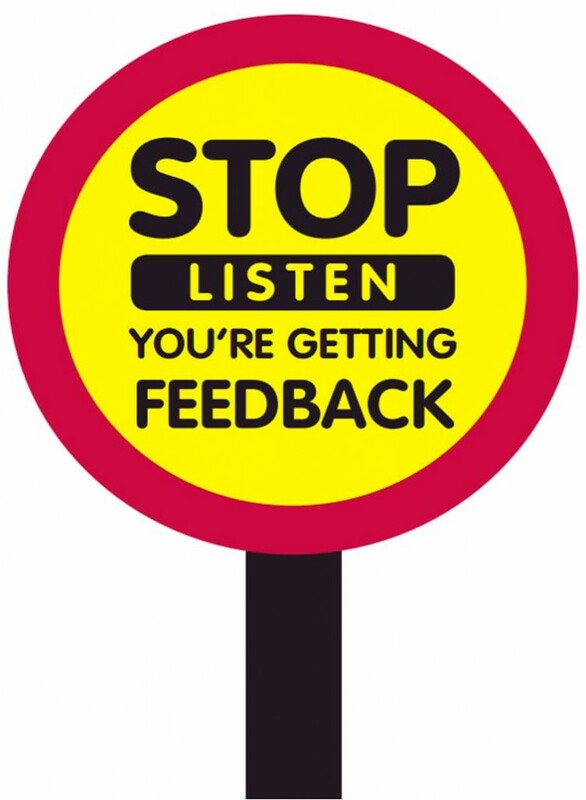 That kind of customer feedback can help you make changes and take action immediately. But there are more important reasons to be using customer feedback. Nothing can take the place of interviewing your customers. What you really want to understand is the process your customers went through to get to you. And then what happened to get them to pull their wallet out and pay you money. Once you understand where they were mentally, you can craft your web copy, headlines and email subject lines. There is nothing more important than understanding where your customer’s head is at during the process. So the guys who do the fan podcasts for shows like Biggest Loser, Lost and Fringe spend their time talking at their audience. The shows are designed around the personality of the hosts and the listeners actively take in the opinions and offer feedback via email, chat room and forum. Every now and then they do a feedback podcast where the entire show is driven by the listener’s feedback. The feedback becomes the show, and thus the stars of the show are the listeners. From a community building perspective, I haven’t seen too many better ways to make the community members feel like they belong. Back at NAMS 2 Jeff Herring introduced us to the idea of the “tweetimonial”. He started pressing the “Favorite” button on any tweet that spoke highly of Jeff. And since he didn’t “favorite” anything else, his Twitter Favorites button became a resource of testimonials. He called them tweetimonials. What a great link to have on the back of your business card or through a QRcode. Testimonials are also good when placed within blog posts, in the About Me section of your site and all over the “who we work with” page of your site. Use a screen capture device to capture them on Facebook, Twitter and anywhere else your audience talks about you, and then paste them in appropriate places on your site for all to see. If you see nice things being said about you elsewhere, use the screen capture button to capture that and put on your site. There’s no reason to send them away to another site to see that. When you get an email from a customer with a question in it, answer it via blog post. Also make sure to put that question into your FAQ with a link to that blog post. Using customer feedback doesn’t mean limit yourself to testimonials and survey questions, anytime someone asks you a question it’s an opportunity to create an asset. Don’t forget that your customers are also using WikiAnswers andYahooAnswers. Sure they might not have purchased something from you, but many bought similar things from others. Look for questions in your niche to help build FAQ questions, blog posts and web copy. Any customer of yours who is communicating with the world is an opportunity to get to understand them better. What are they saying? What is their tone and where are they on their journey to becoming experts? Your understanding of the consumer buying process will make you a much better business owner. Dump all the feedback into a site like Wordle.com and it’ll spit out all the common phrases. What better way to learn than analysis?